Pure Passions is a mix tape created by Barrett Walker and I. See we had all these old records and would often listen to them and laugh and drink and laugh and listen. Then one listen we started talking about how these songs are actually good. Not in a typical sense but in the idea that the people performing them were just singing or playing their hearts out. 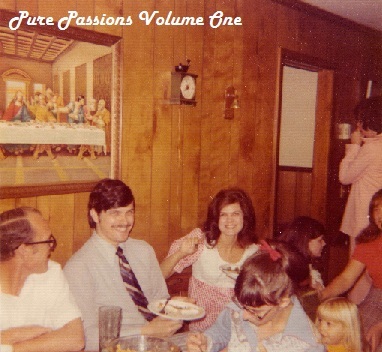 It may be bad or silly or good or all the above, but it most definitively is Pure Passion. Now this was years ago that we recorded these songs from vinyl to tape. We made three tapes each 90 minutes, and if you have heard them then you know exactly what I'm talking about when I say that they are interesting to say the least, but that was a long time ago. 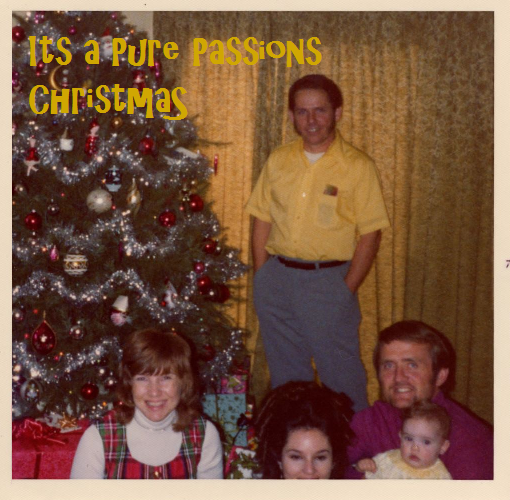 This year I came up with the idea to make a Pure Passions Christmas mix. It is stupid and silly and weird, but also pretty good. So I present to you "It's a Pure Passions Christmas" I hope it brings joy and laughter to your Christmas. Thanks. Johanna and I have not been out like this in a while, so I could have been seeing aerosmith and still have been happy. We did not see Aerosmith, we saw Arcade Fire instead thank god. It is really awesome seeing a band for the first time. What are they going to play, how will the show be, what kind of people are going to be there. These are all questions I ask myself before seeing any concert. Well the show was amazing and did not disappoint. Over the past few years I usually see bands that I have seen before like the Red Hot Chili Peppers, or I see someone who is larger than life like David Bowie. This was different. Arcade Fire is a fairly new band and it was interesting not having that feeling of waiting my whole life to see a band. When I saw NIN, it was serial because I have been listening to them forever and then all the sudden Trent Reznor is standing in front me screaming. Not the case with Arcade Fire, which allowed me to really soak it in. The crowd was one of the most laid back crowds ever. The whole show was laid back. I had forgotten that Win Butler grew up in the woodlands which is where we saw them. He started the show by saying, "its good to be home" then they went into "Ready to Start." He would start a song and say "this song is about grown up...well rowing up here" So that made the show a little extra special I think. As they played on I realized that I think I ike every single song of theirs. Closer to the end of the night Win Butler said "hey I used to be a ticket tearer here whe I was a teenager, and at this point of the night we usually stopped checking tickets and everyone rushed the stage...2.3.4." then they went straight into "Rebellion Lies" So everyone rushed the stage and we found ourselves about 20 feet from the stage. It was exciting to say the least but most of all it was a feeling that I had not had in a long time. Seeing a band for the first time and rushing the stage, it was very nice.